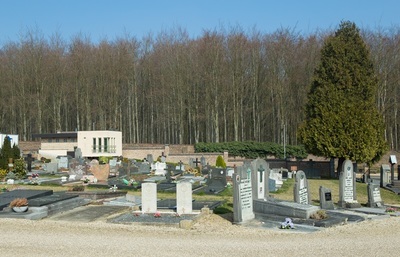 ​Duisburgsteenweg the cemetery is along on the right. 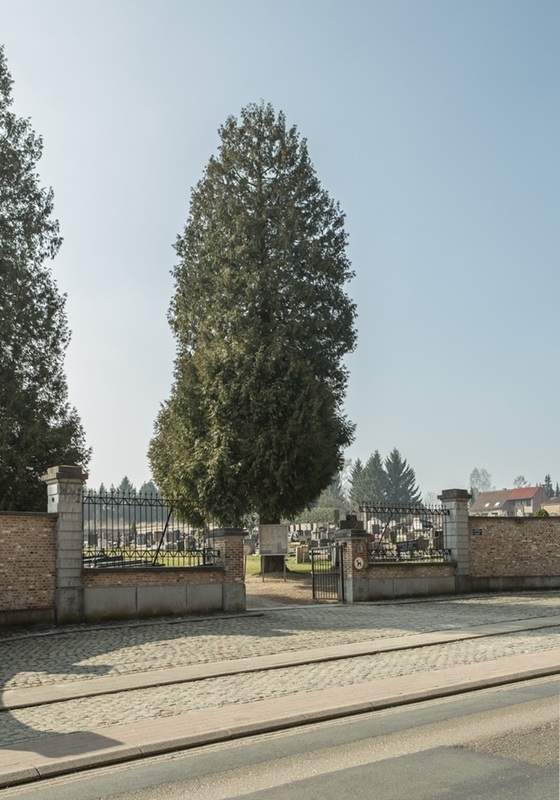 The graves are located through the main entrance, straight ahead to the monument, at which you turn right and find the graves side-by-side immediately on your right. 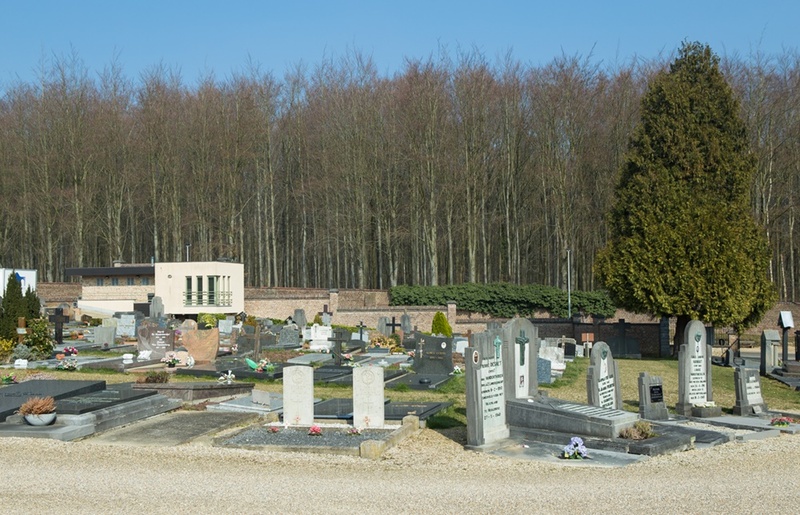 Tervuren Communal Cemetery contains two Commonwealth burials of the Second World War. 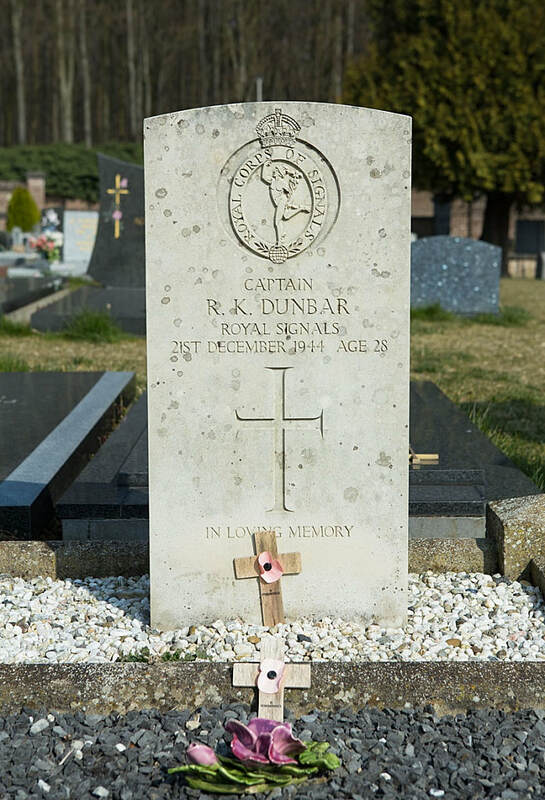 187981 Captain Robert Kemp Dunbar, Royal Corps of Signals, died 21st December 1944, aged 28. 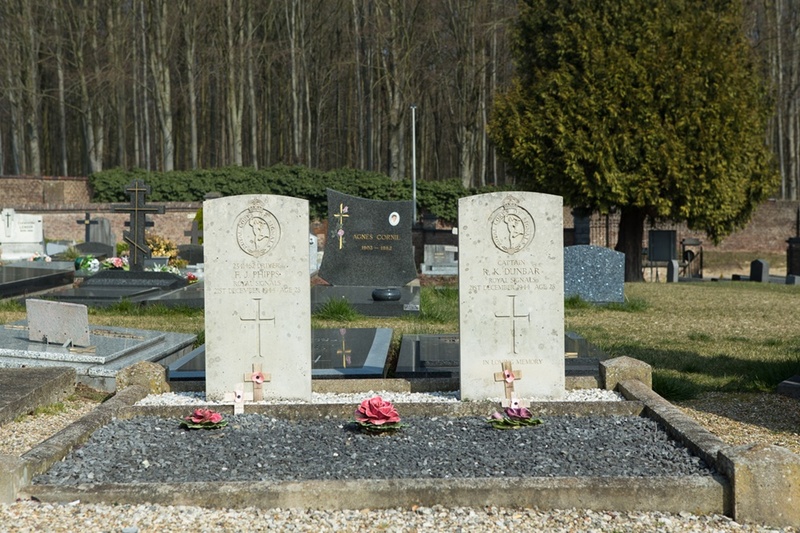 Son of Robert Hugh Dunbar, and of Williamina Dunbar, of Killermont, Bearsden, Dunbartonshire. B.Sc. (Glasgow). 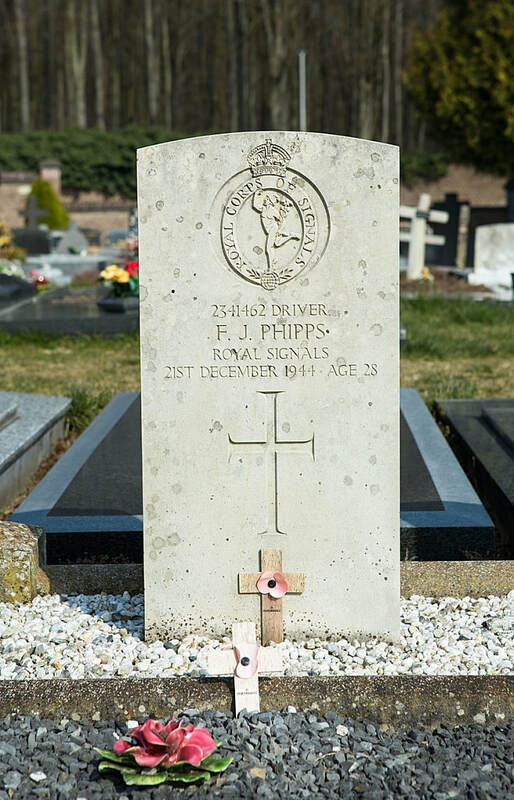 2341462 Driver Frederick John Phipps, Royal Corps of Signals, died 21st December 1944, aged 28.